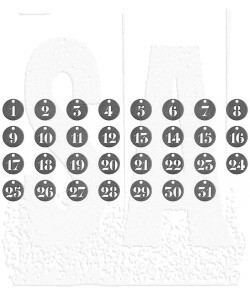 Metal tags stamped with numbers. 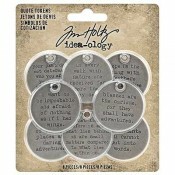 The perfect accent for nearly any project! 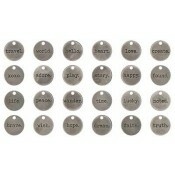 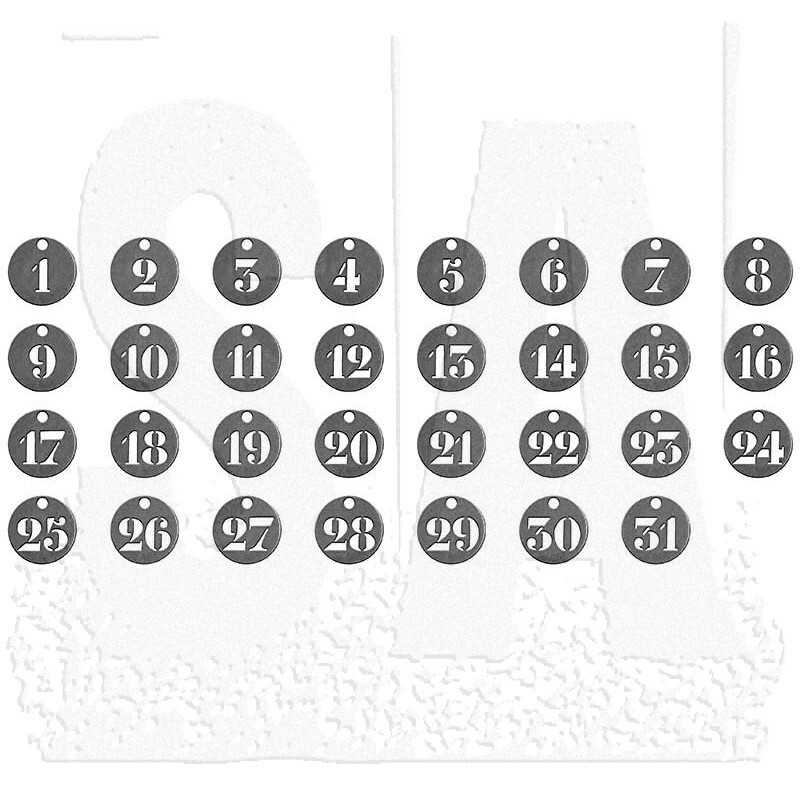 Package includes thirty one tokens in antique nickel finish. 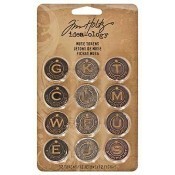 Each numbered token measures approximately 3/4".